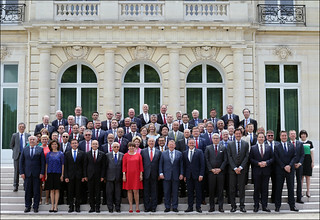 The Ministerial Council Meeting (MCM) took place at the OECD Paris Headquarters on 7 and 8 June 2017, and was preceded by the 2017 Ministerial Council Statement, starting on 6 June 2017. These and other side events encompass the OECD Week 2017. The Ministerial meeting was chaired by Denmark, with Australia and the United Kingdom as Vice-Chairs. This MCM echoed the pledge of the 2030 Agenda for Sustainable Development to “Leave No One Behind”.